This needs to start the day before. Possibly make the beef cubes a little smaller. Also it helps to reheat the stew a little before placing into pie dish. 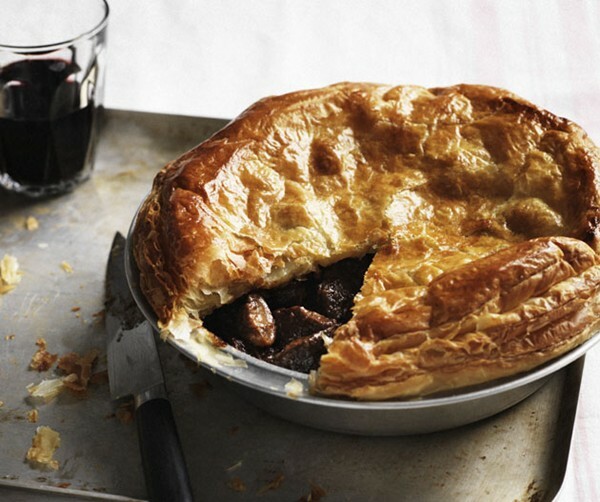 A lovely pie. Great stew. Option is to add some mushrooms half way through the cooking period. Simple, but efficient, and a beautiful vinegary, spicey chutney flavour that felt very seasonal, probably partly due to the fact I replaced ground cumin with ground cloves ! Man - I love chutney - I did it again to use up some mangoes that were in need, and I am just falling in love every time I make chutney, and especially mango chutney. Planning to use as a topping for an arancini with Mozzarella and Bayonne ham (i.e. French parma ham). Need to not eat the whole chutney before I get to that though! Superb and very easy to make. 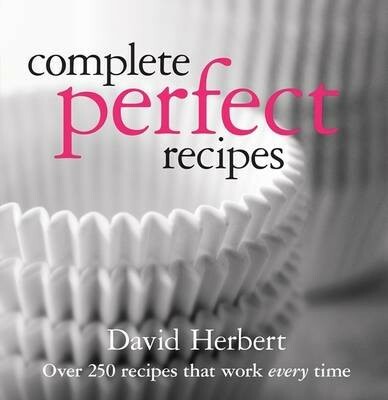 "Complete Perfect Recipes" brings together David Herbert's highly successful "The Perfect Cookbook" and "More Perfect Recipes" in a new format featuring more than 260 classic recipes plus nine brand new dishes. "Complete Perfect Recipes" is the ultimate collection for simple yet stylish home cooking - a perfect balance of reliable classics for both first-timers and accomplished cooks seeking new tastes. Listed alphabetically, with black and white photographs, the recipes cover classics such as apple pie, banana smoothie, chocolate brownies, hamburgers, laksa, lasagne, meatballs, orange cordial, quiche Lorraine, raspberry sundae, roast chicken, sponge cake, steak sandwich, sticky date pudding and tiramisu; as well as delicious meals such as asparagus risotto, beef and mushroom pie, Chinese-style braised chicken, coconut fish curry, Indian-style lamb curry and poached salmon with salsa verde.